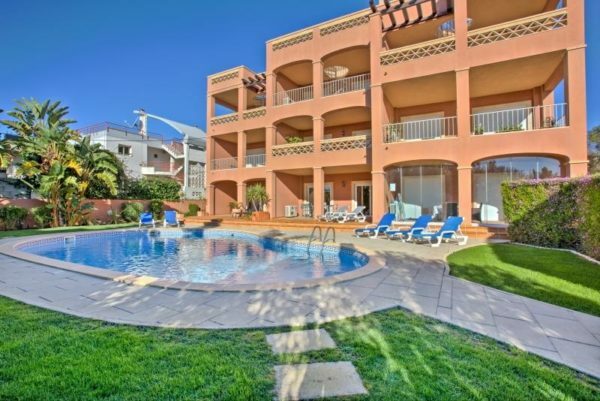 Modern 2 bedroom apartment located on the first floor of a small complex with communal pool and only 220m from the beach of „Meia Praia“. The apartment is composed by a bright living dining room with an open plan kitchen with access to a balcony with BBQ and a beautiful view over the ocean and the pool, 1 bedroom with a double bed an en-suite bathroom and a balcony, the other bedroom has 2 single beds, and there is also a family bathroom. 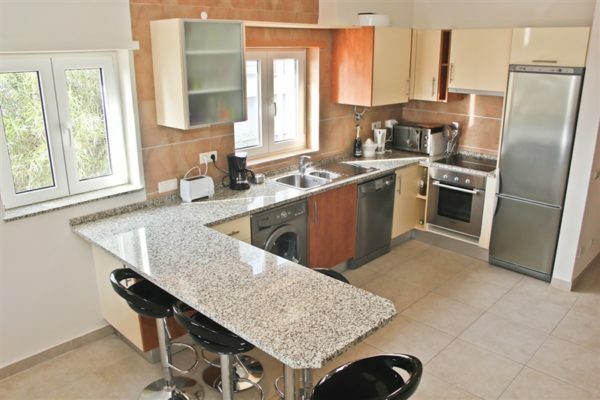 This property is also very suitable because of the proximity to the Palmares golf course. On arrival, you are asked to pay a deposit of € 200.00, which will be refunded before your departure if everything is in order.